I don’t want you to think I’m getting lazy, but I’ve been a busy bee these days. 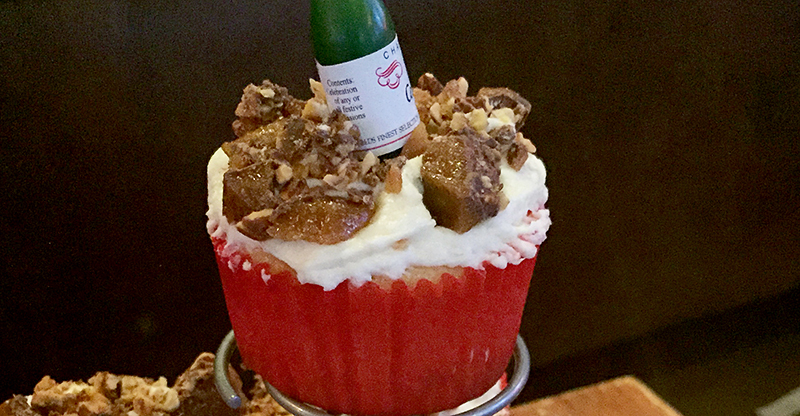 So, when I realized I needed to make interesting and yummy cupcakes that my husband would love with only what I had on hand, I dug into my candy box. To the rescue, Trader Joe’s English Toffee and Werther’s Original Chewy Caramels. I made regular vanilla cupcakes, dropping a caramel in each cup of batter. 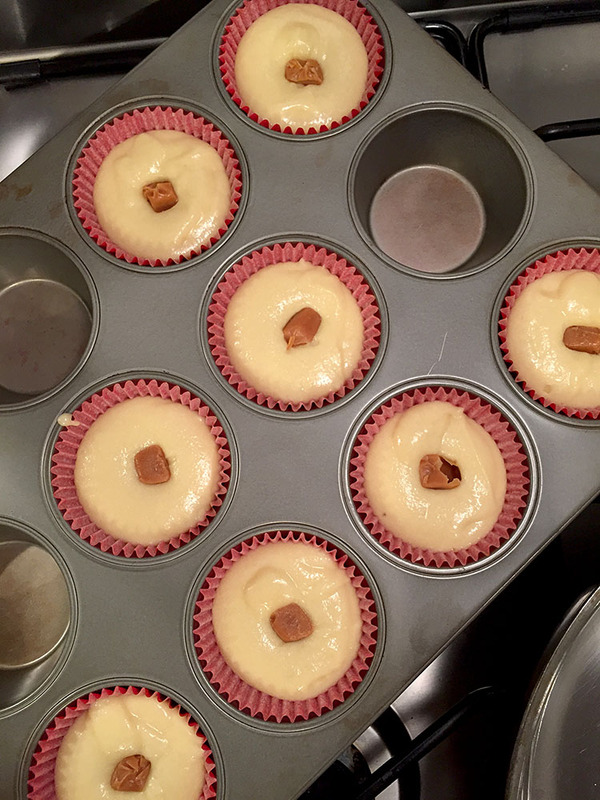 These plain-jane vanilla cupcakes had a caramel surprise in the center. Once I frosted, I added chunks—and I do mean chunks—of the toffee. Yes, that’s an adorable mini champagne candle. 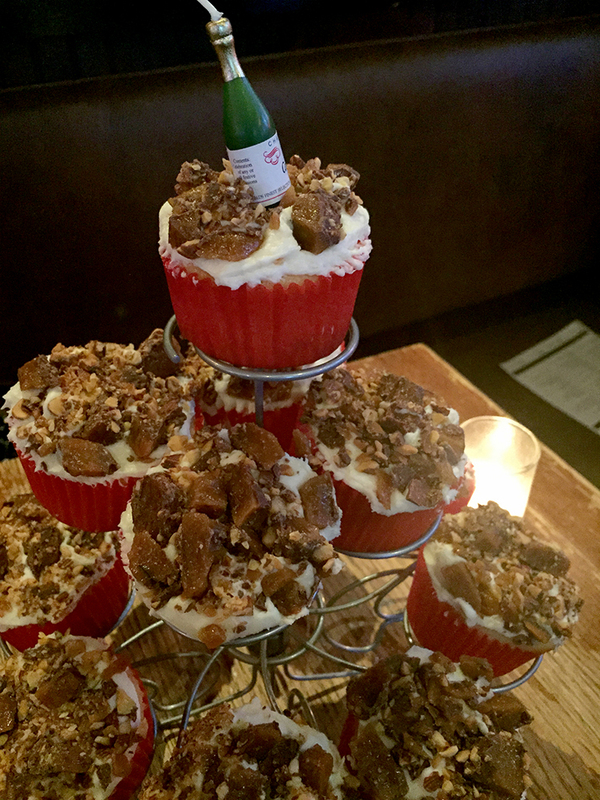 Voilà, we had tasty cupcakes fit for a celebration!